The HR Certification Institute, an internationally-recognized certifying body for the HR profession, is seeking to aid HR professionals seeking certification in earning their credentials by pairing certification seekers with professionals who already hold program certificates such as the Professional in Human Resources, Senior Professional in Human Resources, Global Professional in Human Resources, or their California-specific siblings. The new effort, named the Certification Mentor Program, will focus on matching individuals who have been unsuccessful in earning certification after taking an HR certification exam. The program consists of a six-month period of interaction between mentor and mentee that occurs on a virtual platform but may also extend to other forms of communication such as email, Skype, social media, and chat. 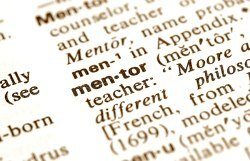 Mentors will receive credit for re-certification in exchange for program participation.